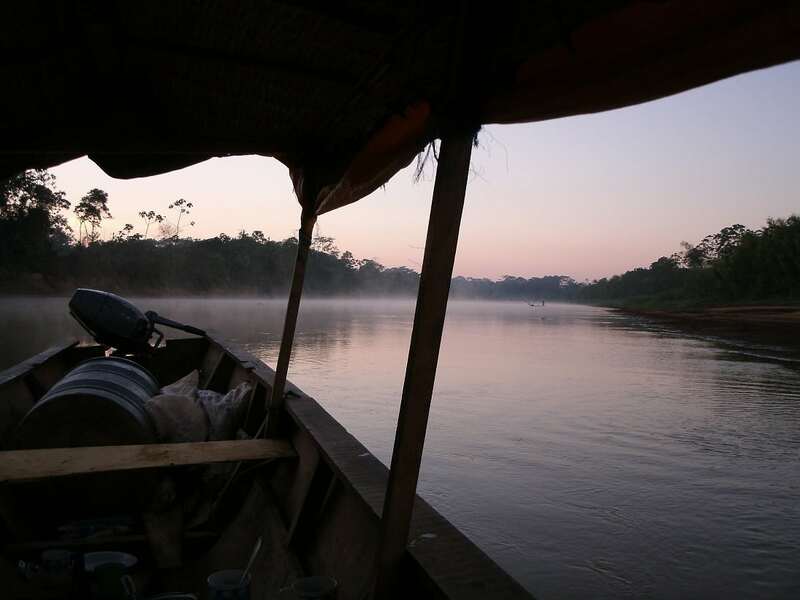 The Amazon rainforest has been given fresh hope after British scientists found it is much more resilient than previously feared. It constitutes more than half of the planet’s remaining rainforest, with its 2.4 million square miles the most species rich tract of land. Storing about half of the global tropical forest carbon, large losses could make climate change worse. Logging can leave it fragmented and punch holes in the canopy, drying out the vegetation below. This, combined with the effects of global warming, is leaving the Amazon much more likely to catch fire. In the past, researchers have found a large part is susceptible to a tipping point. Tell-tale satellite showing areas of savannah and rainforest coexisting under the same environmental conditions. This ‘bistability’ means that shocks such as slashing and burning, or drought, could lead to a dramatic increase of fires and tip a region into savannah. Areas that have experienced this transition would then remain locked into this state until large enough increases of rainfall and release of human pressures allow forests to regrow faster than they are lost by intermittent fires. Now Bert Wuyts, a fourth year PhD student at the University of Bristol has found as long as there is some forest left, deforestation will not lock currently forested areas into a savannah state. This means recovery of the forest in deforested areas should happen as soon as these areas are left alone by humans. Wuyts, of the Bristol Centre for Complexity Sciences, explained: “I decided to take a fresh look at the data and a very different picture emerged when I controlled for seasonality and took out all the data points from satellite images that represented locations that had been subjected to human influence. He said: “International climate negotiations include a focus on reduced greenhouse gas emissions from tropical deforestation and the need for sustainable forest management to enhance sinks. “Such forest management is complicated by the potential existence of tipping points in tropical forests beyond which they may experience abrupt transitions to savannas and provide feedbacks to climate change. 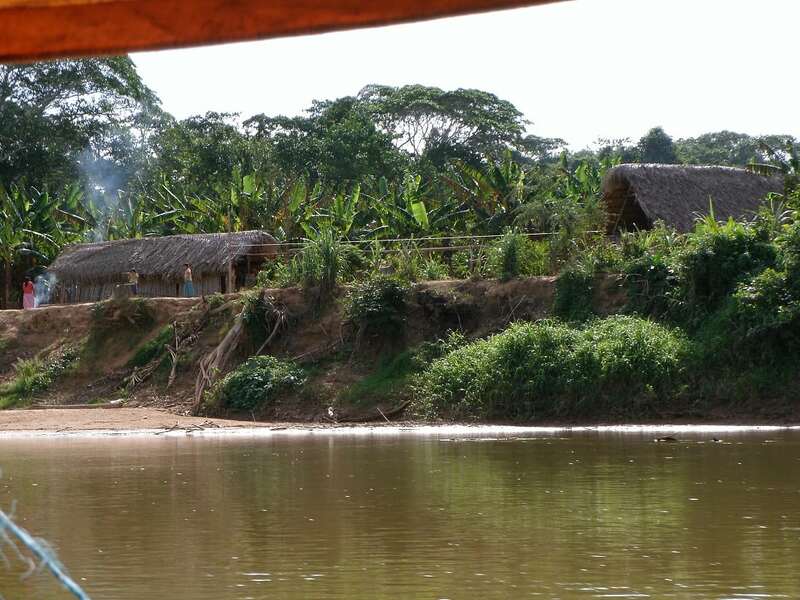 “In the Amazon basin, there exists evidence for tipping points related to two types of feedbacks. “First, simulation and modelling studies have shown that hydrological feedbacks could cause basin-scale alternative stable vegetation states. “The focus of this paper is on a second fire-related feedback that has been linked to forest-savanna bistability in the tropics. He made the discovery in the first year of his PhD and thought it seemed most puzzling. So he teamed up with Professor Alan Champneys, a theorist in the Department of Engineering Mathematics, and Dr Jo House, an expert on land use change from the School of Geographical Sciences. Previous research appears to have failed to take into account spatial interaction and edge effects between neighbouring zones, typically through naturally occurring forest fires. Taking such terms into account leads to reaction-diffusion theory, used widely in predicting the formation of spatial patterns within physics and chemistry. According to the theory, there should be a distinct boundary between forest and savannah predictable from climate and soils. The key was to recognise that proximity to human cultivations acts as a third determining factor. Forests closer to human cultivations are subject to logging and erosion by fires originating from the open cultivated areas. This causes a shift of the forest-savanna boundary towards wetter areas. 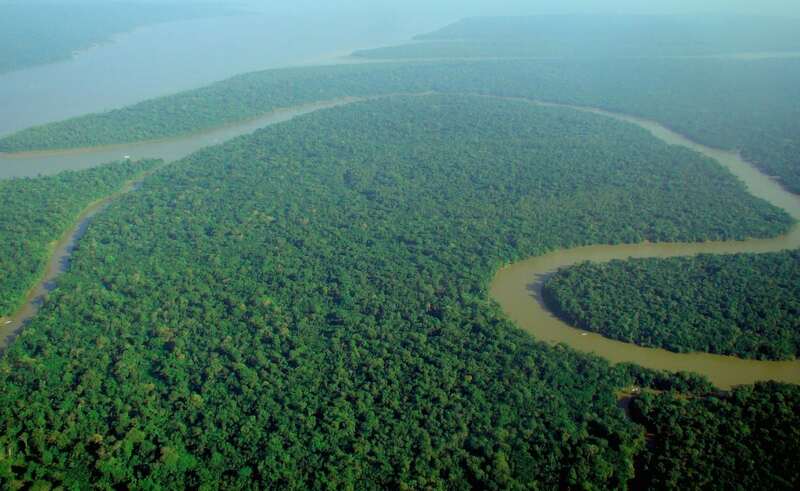 But the team warned there exists a second mechanism that could lead to bistability of Amazonian forest cover, which was not taken into account in this study published in Nature Communications. Previous research has shown via simulations the Amazon forest can have a positive effect on regional rainfall. Through this mechanism, forest loss may lead to decreased rainfall causing further forest loss. Whether climate change or deforestation may still permanently transform the Amazon forest into a savannah depends on the importance of this second mechanism and is subject of further research. The destruction of the Amazon began in in the 1960s with farmers slashing and burning forests to make way for crop cultivation. Colonists found soils were only productive for a limited time, spurring them to clear more and more forest and causing widespread environmental damage. Archaeological evidence suggests the first inhabitants settled in the region at least 11,200 years ago, and by 1500AD some five million people may have lived there. It is believed many of the region’s original indigenous inhabitants were wiped out by the spread of diseases like smallpox carried by European explorers.